Japan's Chief Cabinet Secretary protested against United Nations' queries regarding Japan's newly proposed anti-terrorism bill. Tokyo: Japan on Monday protested against a letter to Prime Minister Shinzo Abe from a UN independent expert raising concerns that planned legislation targeting conspiracies to commit terrorism and other crimes could allow police to trample civil liberties. The protest by Chief Cabinet Secretary Yoshihide Suga drew a stiff rejoinder from Joseph Cannataci, UN special rapporteur on the right to privacy, who blasted Suga's comments as "angry words" with "no substance" in an email to Reuters. The lower house of Japan's parliament is expected to approve the bill as early as Tuesday, setting the stage for enactment. Tokyo says the legal changes are needed to ratify a UN treaty aimed at battling international organised crime and fighting terrorism, as Tokyo prepares to host the 2020 Olympics. Opponents see the proposals as part of Abe's agenda to tighten the government's grip at the expense of individual rights. The content of the May 18 letter from Cannataci was "clearly inappropriate and we strongly protested," Suga said. "It is not at all the case that the legislation would be implemented arbitrarily so as to inappropriately restrict the right to privacy and freedom of speech," he added. In the letter released on the website of the Office of the UN High Commissioner for Human Rights, Cannataci referred to concerns that the bill's broad scope might "lead to undue restrictions to the rights to privacy and to freedom of expression". He asked Abe for information on the accuracy of such concerns and the compatibility of the draft law with international human rights norms and standards. "Unless and until corrected on any point of fact, I stand by every single word, fullstop and comma of what I wrote to Prime Minister Shinzo Abe," Cannataci wrote in his email. "There is absolutely no justification for the Japanese Government to behave in this way and push through seriously defective legislation in such a rush." Critics including the Japan Federation of Bar Associations have also warned the changes, combined with a recent widening of legal wiretapping and courts' reluctance to rein in police surveillance powers, could deter grassroots opposition to government policies. The lawyers' group has expressed concern that ordinary citizens would be targeted, despite government assurances to the contrary, and that the crimes governed by the law include acts unrelated to organised crime or terrorism. Japanese governments have tried to pass similar legislation three times since 2000, when the United Nations adopted a Convention against Transnational Organised Crime. 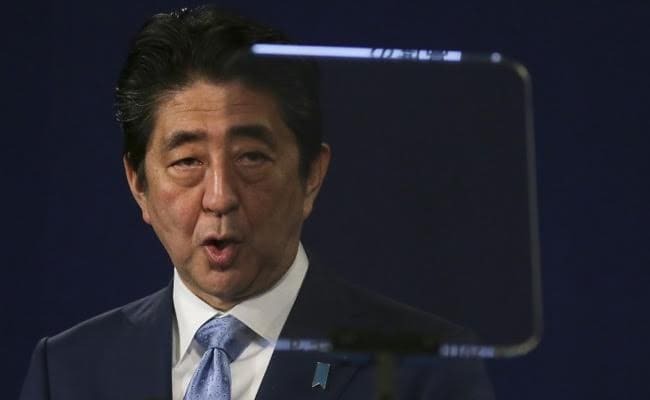 But Abe's ruling coalition, with a two-thirds majority in both houses of parliament, looks likely to enact the bill this time, despite loud opposition protests. A Kyodo news agency survey published on Sunday showed voters are split over the controversial bill, with support at 39.9 percent and opposition at 41.4 percent.